To say it more exactly, here I relate to the 21 row-shaped visceral labyrinths, still known from some of the previous articles (see Related Posts below). The appearance is defined by the circuit or path sequence. 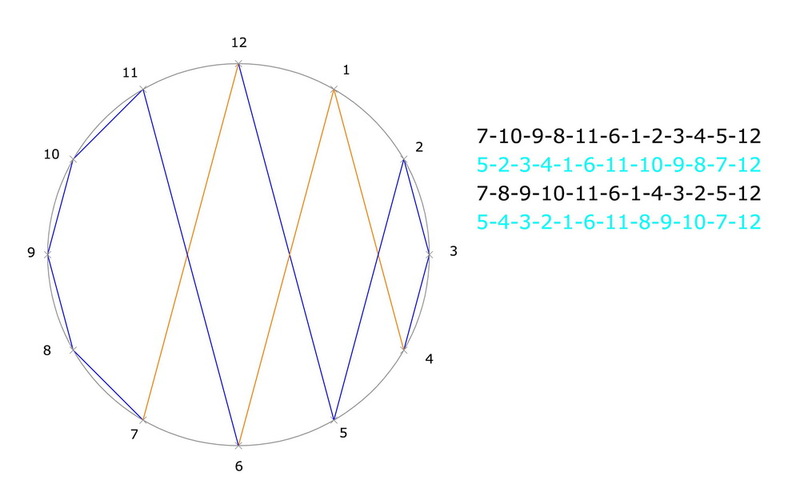 With that one can construct the different and new labyrinth types (here 21). 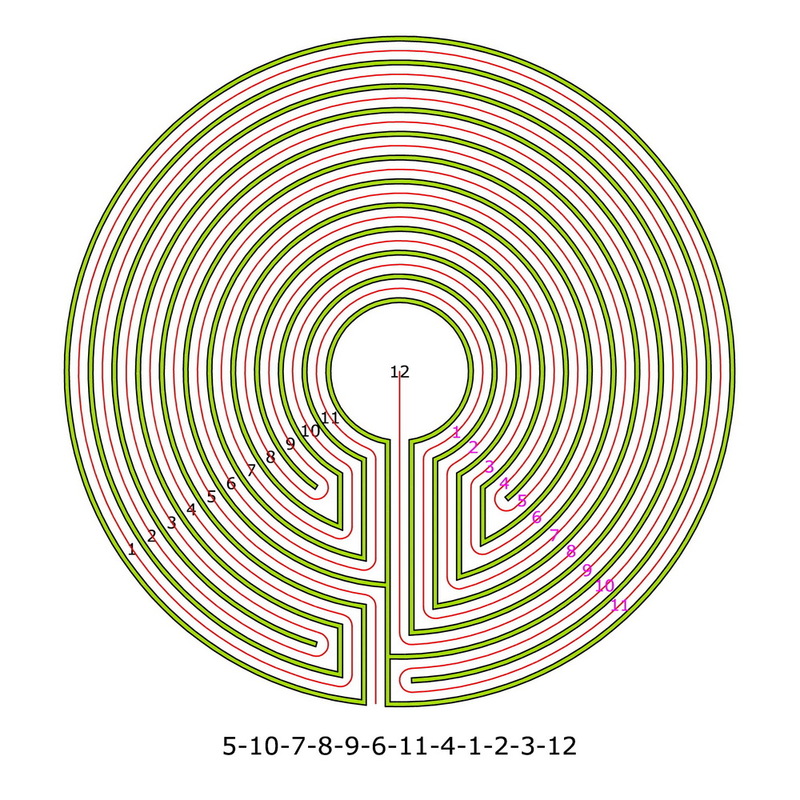 To this I use the once before presented method to draw a labyrinth (see below). The path and the limitation lines are equally wide. The center is bigger. The last piece of the path leads vertically into the center. 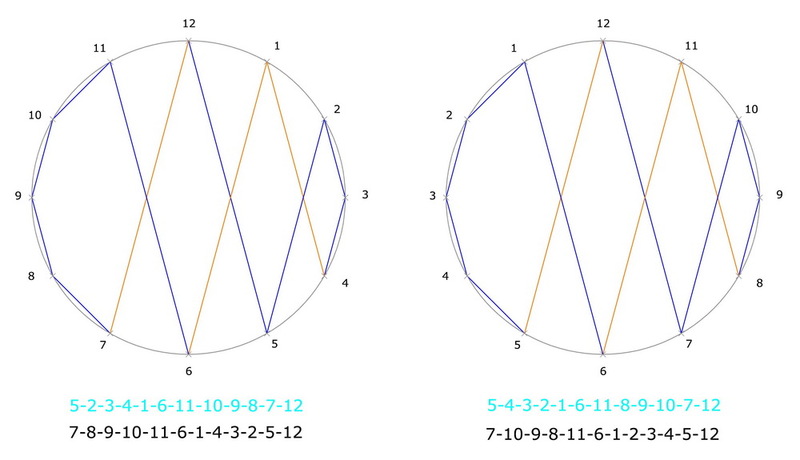 All elements are connected next to each other without sharp bends and geometrically correct. There are only straight lines and curves. This all on the smallest place possible. All together makes up the Knidos style. 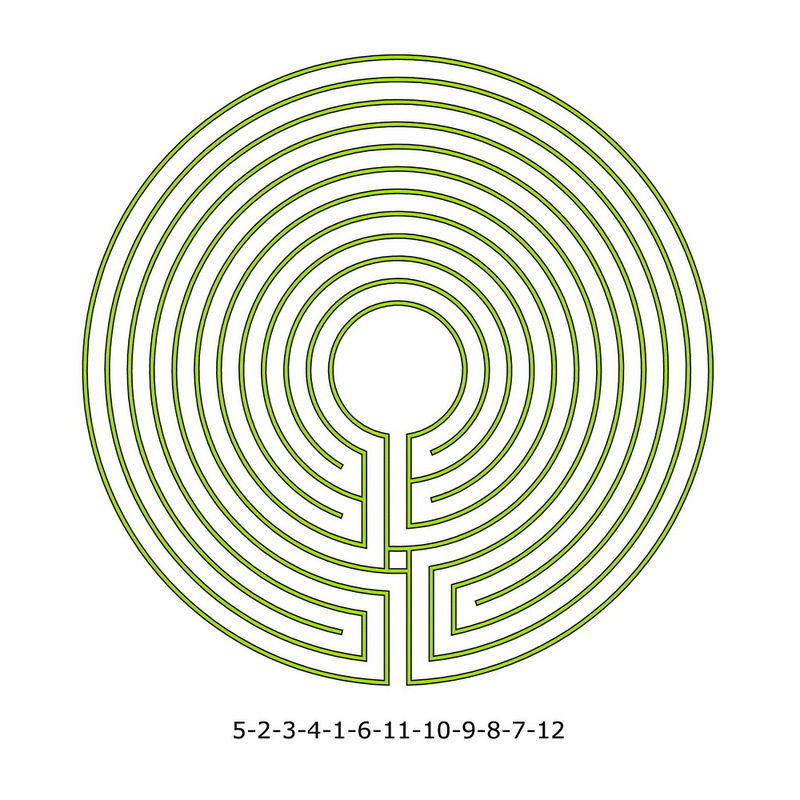 I think that by this style the movement pattern of every labyrinth becomes especially well recognizable. With that they can be compared more easy with the already known labyrinths. Remarkably for me it is that only one specimen (E 3384 v_6) begins with the first circuit. 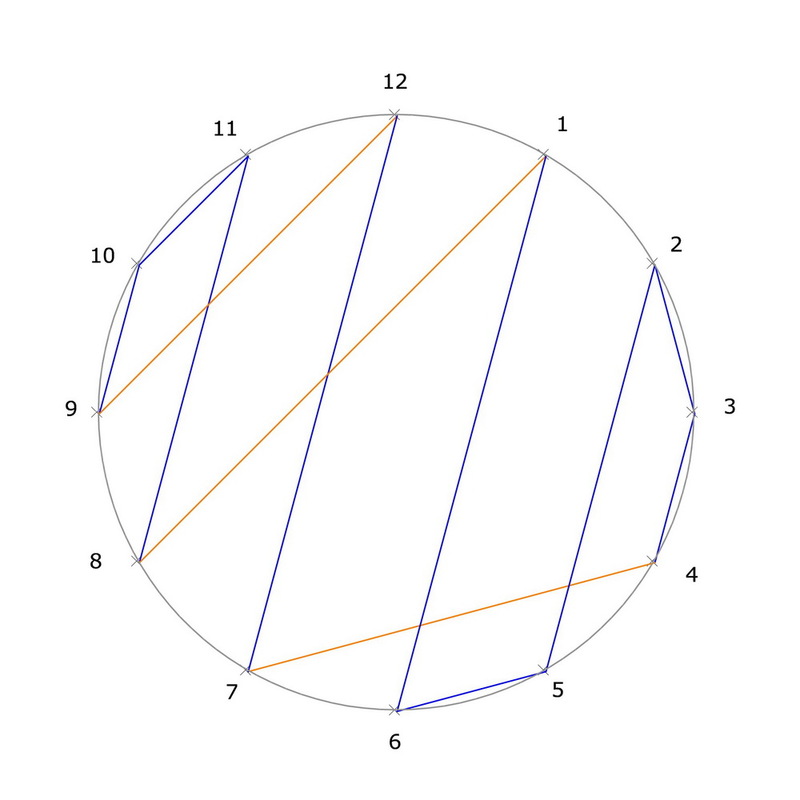 And the fact that many directly circle around the middle and, finally, from the first circuit the center directly is reached. Noticeably are also the many vertical straight and parallel pieces in the middle section. 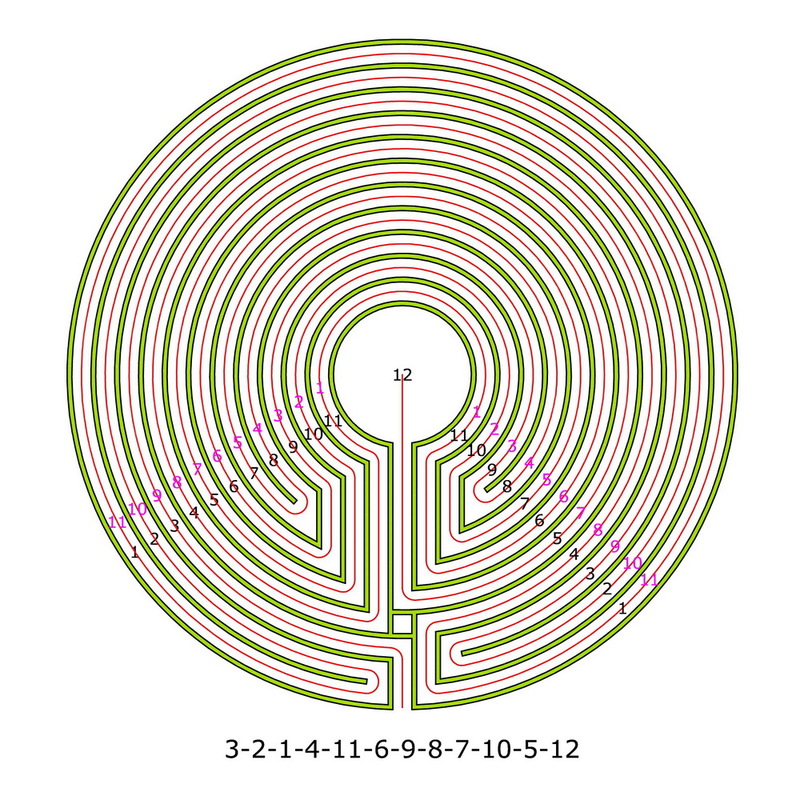 Here it is about the decoding of the circuit sequences of the row-shaped 21 visceral labyrinths shown in the last article on this subject (see related posts below). The question is: Can I generate one-arm alternating labyrinths with one center in the middle from them? That means no walk-through labyrinths where the also unequivocal path passes through, but is ending at an aim in the middle. Maybe one could call them “walk-in labyrinths” contrary to the “walk-through labyrinths”? The short answer: Yes, it is possible. 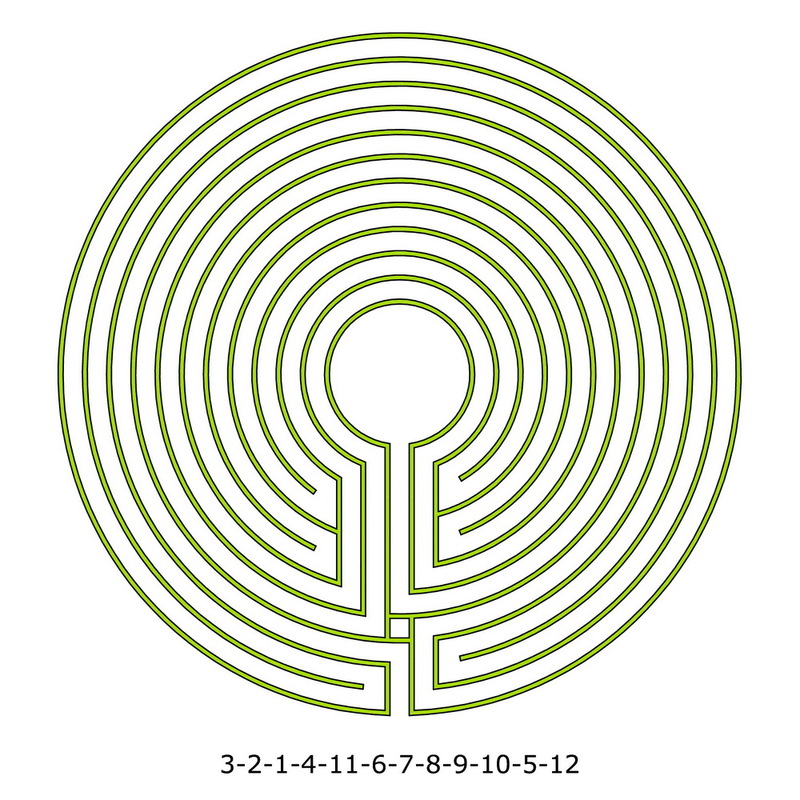 And the result are 21 new, up to now unknown labyrinths. 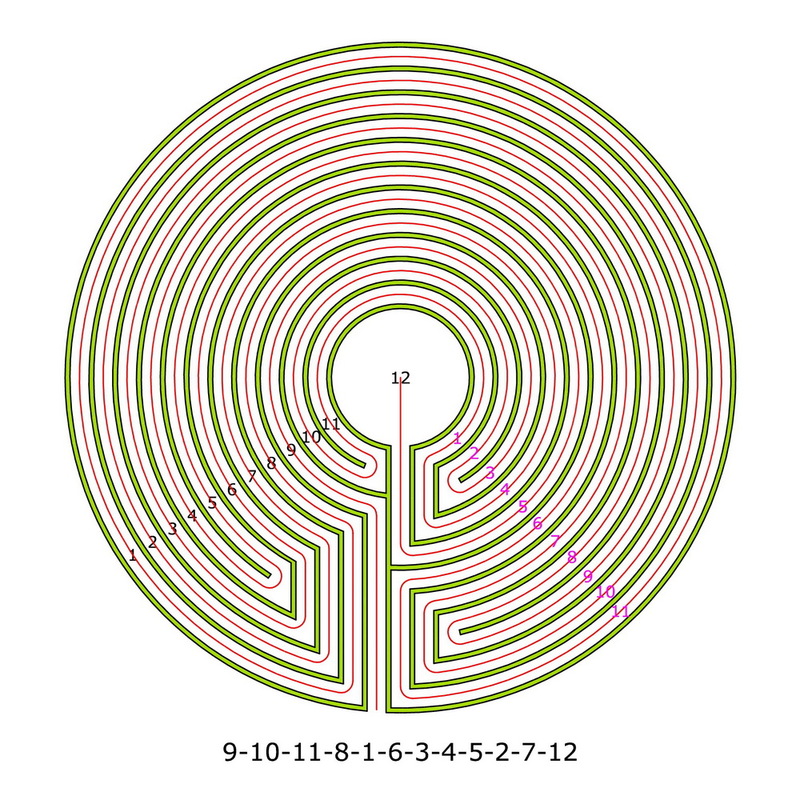 The circuit sequence for the walk-through labyrinth can be converted into one for a walk- in labyrinth by leaving out the last “0” which stands for “outside”. 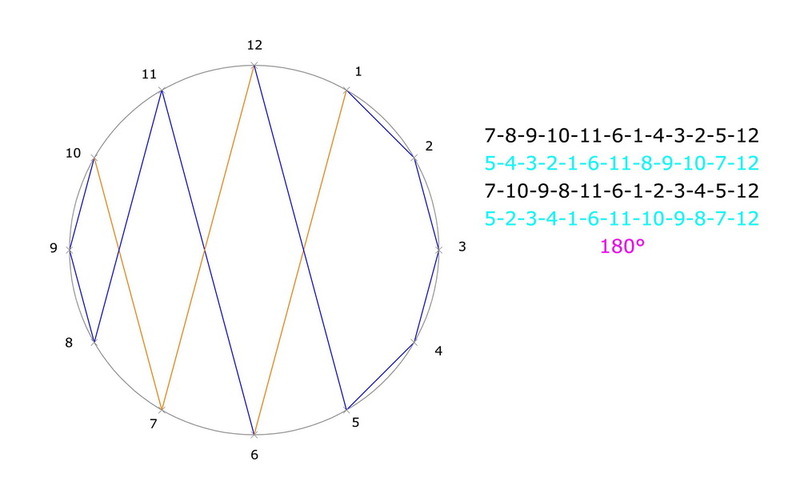 The highest number stands for the center. If it is not at the last place in the circuit sequence, one must add one more number. 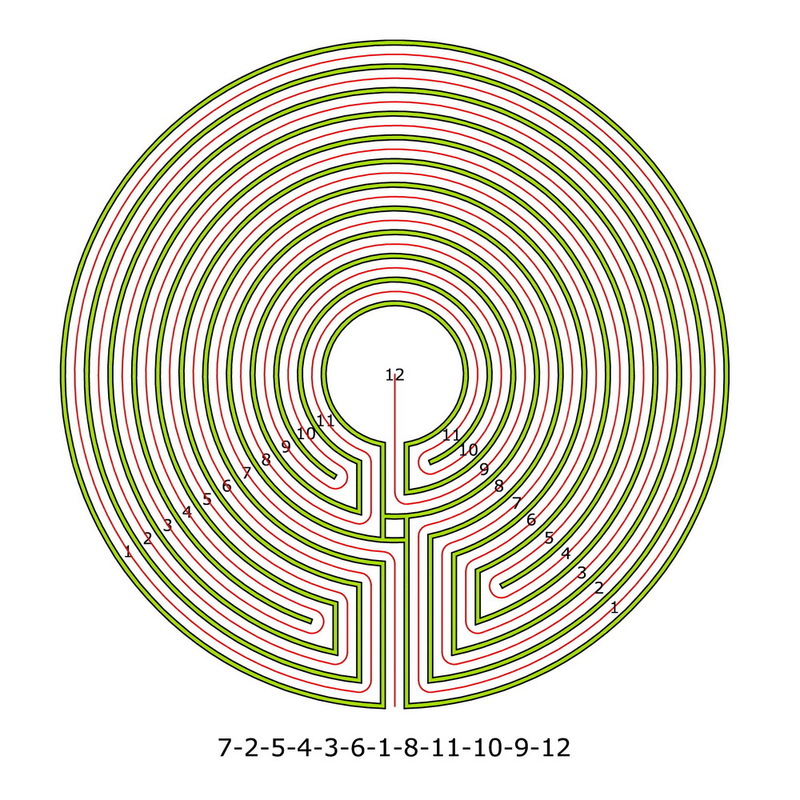 This “trick” is necessary only for two labyrinths and then leads to labyrinths with even circuits (VAT 984_6 and VAN 9447_7). 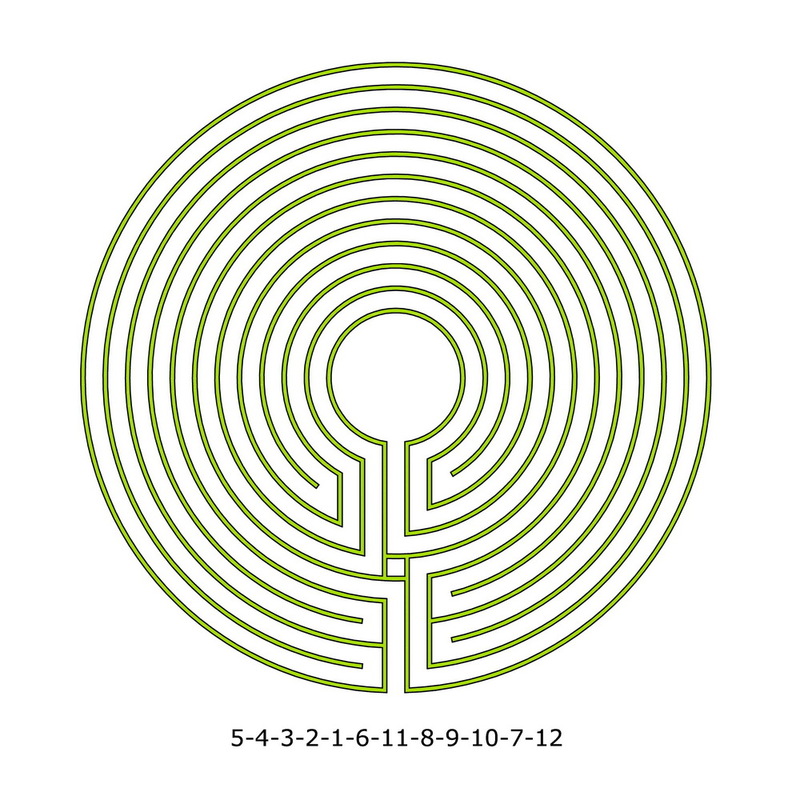 The gallery shows all the 21 labyrinths in concentric style with a greater center. All labyrinths are different. Not one has appeared up to now somewhere. They have between 9 and 16 circuits, the most 11 circuits. 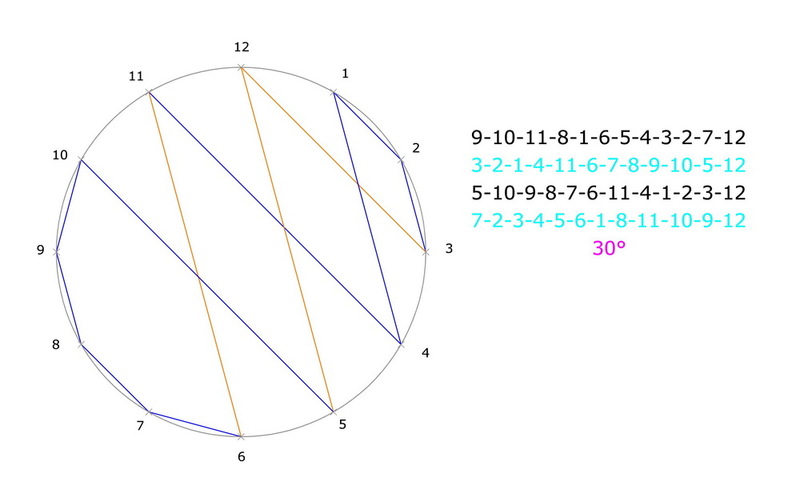 They show between 3 and 6 turning points. In these constellations there are purely mathematically seen 134871 variations of interesting labyrinths, as proves Tony Phillips, professor of mathematics. There are still a lot of possibilities to find new labyrinths or to invent them. 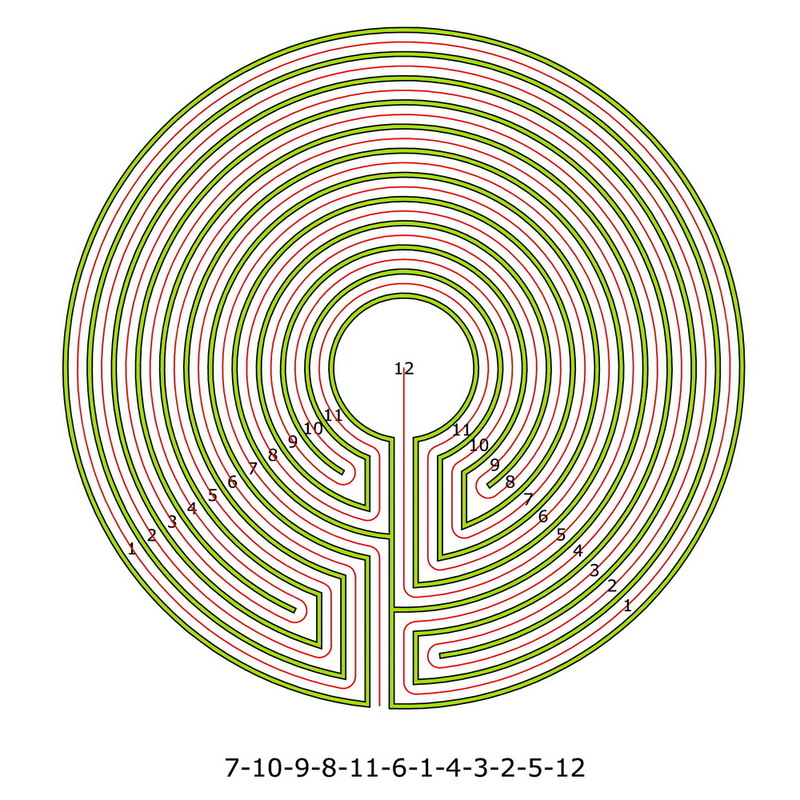 Or more precisely: The circuit sequence of the the row-shaped visceral labyrinths. Amongst the up to now known 27 visceral labyrinths there are 21 row-shaped visceral walk-through labyrinths. The circuit sequence may serve as a distinguishing feature. Here I would like to show the sequences of all 21 specimens. 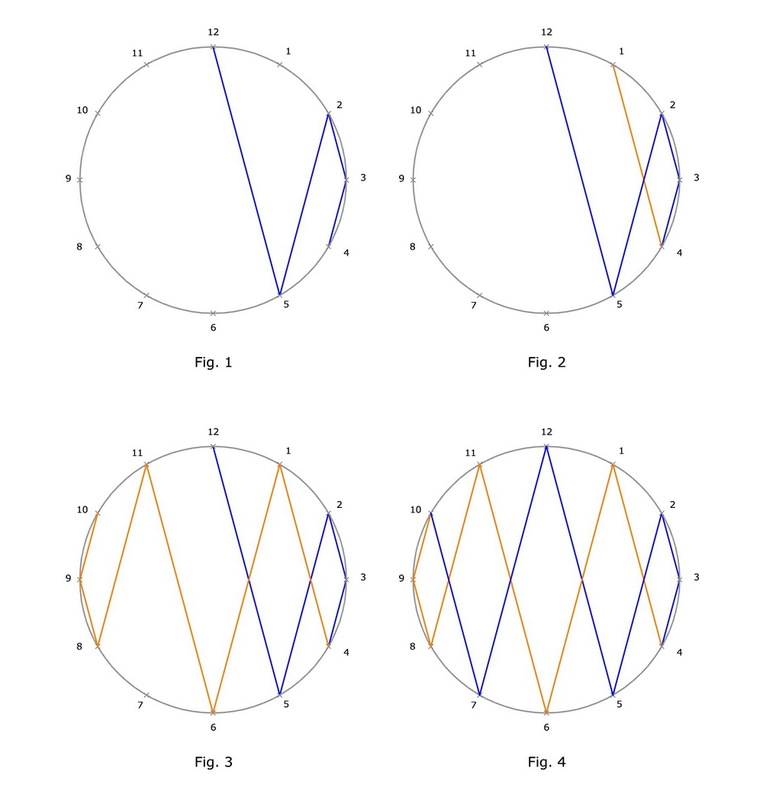 The method is to number the vertical loops in series from left to right. 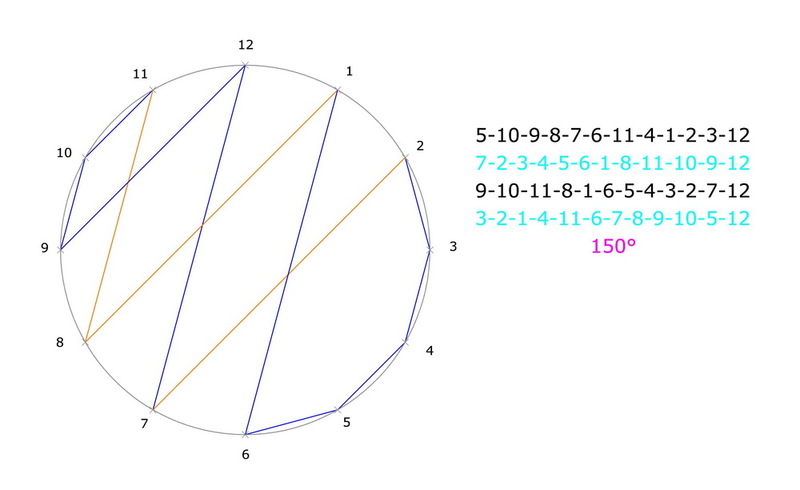 The shifting elements do not receive a number. Besides, “0” stands for outside. The transverse loops in E 3384 r_4 and E 3384 r_5 are numbered the same way. A special specimen is E 3384 v_4. Here some loops are “evacuated”. However, also there a useful circuit sequence can be found. All labyrinths are different. No one is like the other. That alone is remarkable. So they do not follow an uniform pattern. 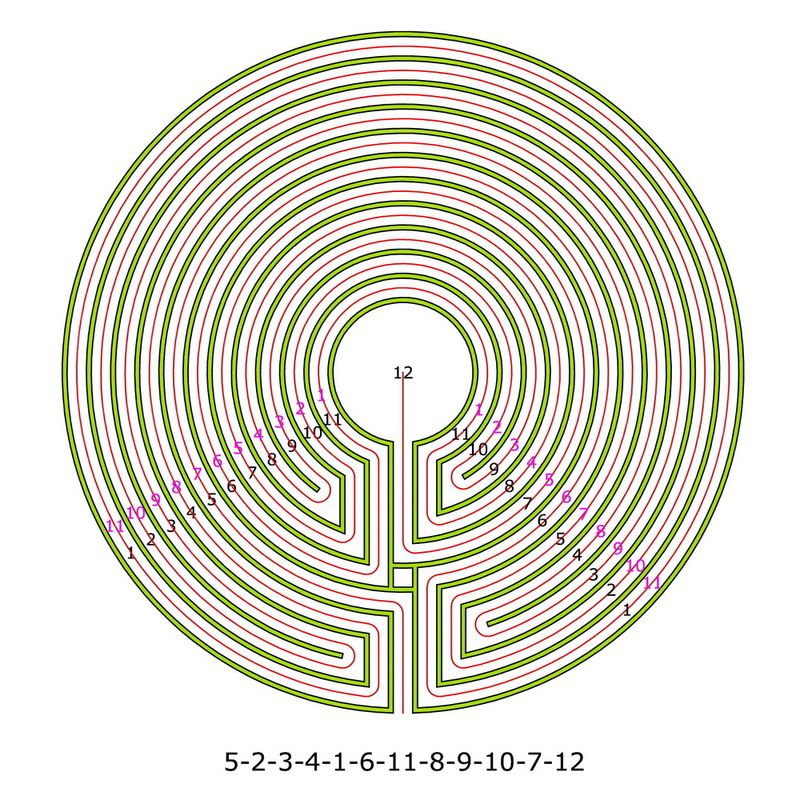 A first look at the circuit sequences shows that they resemble very much the circuit sequences of the one-arm alternating classical labyrinths. That means: The first digit after 0 is always an odd number. Then even and odd numbers are following alternating. One of the next articles will deal with the decoding of the circuit sequences.